Club Kit News | Effingham Cricket Club. 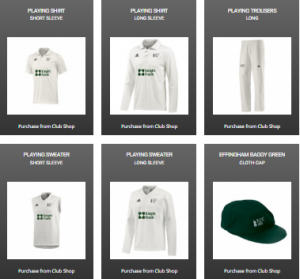 The Club is delighted to announce the launch of our new Adidas Official Club Kit, a new Club Training Kit and a new Effingham Cricket Club online store. Thanks to Jake White (no, seriously) for his leadership and steadfast commitment to quality which have helped get this all up and running. Sponsored exclusively by official Club sponsor, Mundays, the new Adidas training kit represents another step forwards in the development of our Club and provides members with a high quality range of training clothing. The establishment of a new Club online store should dramatically improve the purchasing process for all Club Members. In particular, we are now looking forward to much shorter lead times. The Club has also replaced the official club senior match kit with items from the Adidas line. All Club kit now features a revised black and white Club logo. 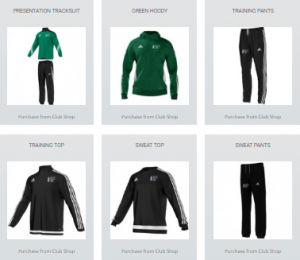 The kit range can be viewed on the Club website by clicking here. The new online store can be found by clicking here.